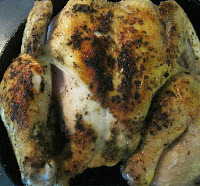 This easy 30 minute skillet roasted chicken is quicker than a traditional oven roasted chicken. 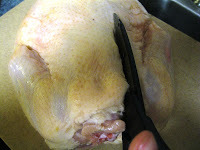 The chicken comes out moist and tender, and can even be cooked the night before and then used for quick sandwiches the next day or anything else you make out of those store bought rotisserie chickens. I often make mine on Sunday afternoons for an easy Sunday evening meal, or to pick apart during the week to speed up dinner on a busy night.